 AfricaSpeaks.com - Which white privileged position? I'd like to disagree with Ayinde, I think you are being racist man! I'm a white person but I not consider myself responsible for White Supremacy (Babylon). "I see it (white repatriation)as a cop-out by some Whites that should be in the West trying to dismantle the antisocial capitalist system." "Justice mandates that THOSE who have benefited from the abuse of others should pay reparations, and they should allow the former victims to rediscover their own social systems." Do all whites must pay reparations? Do you really believe that THOSE who have benefited from the abuse of the black race are in the same category as the whites rasta that desire to repatriate (even if calling it repatriation remains debatable) to I Father's land? I, as a white, have not received any benefit for being white, and have not abused from no one. Here in Chile, babylon is babylon still, the poor is always poor and the rich is getting richer, we are ghetto sufferers too and we have all the unequalities that you know babylon cause. "Any well-intentioned White person should invest their time and resources in educating others about the ills of the capitalist system as it is"
Again, which is my priviledged position? I believe that Haile Selassie is God, I consider myself a rastaman, I pursue an Ital livity and try to follow Jah word with my heart and soul. I have no benefit, here in Chile (and in most South American countries where whites outnumber blacks) being a rasta gives you no benefit at all. Because of my dreadlocks no one would give me a decent job man! and let us not speak about herb... Being an herb smoker makes you a criminal of the lower class. This is no fashion, being a dreadlocked rastaman gives me no benefit, still I'm white. "they should be using their 'privileged' position in these societies to fund and promote progressive Black movements without trying to take controlling interest." My God, trying to take control? I have the oportunity to study (here universities and college are very expensive, I don't know over there) and my goal is to be a professional, and of course I'd like to go to Shashamane to help I&I bredrins and sistrens in any way I can, maybe with my teaching or translating skills., but my bredrin, take controlling interests? please... I wouldn't call this repatriation still but it worries me more this inherent racism of some I&I towards white rasta. If I go to Ethiopia it won't be to play 'grassroots poor,'but to help, I'm know that I won't get rich in Ethiopia (is not my goal either). "Their history first exploited Africa, now they return to extract more, and divert necessary attention and funding from more deserving African causes." Date: Monday, 19 April 2004, at 12:00 a.m.
You can choose to put on dreadlocks and not get a job because of it. You can chant Rastafari and believe that makes you a downpressed person with the right to 'repatriate' to Africa. You can do anything you want to try to distance yourself from the system of white privilege from which you benefit directly no matter what your choices are. None of it is worth anything to the blacks who still suffer, or to your own self spiritually for that matter. Blacks can't put on and take off their blackness like a pair of shoes. And you can't put off your white skin, and the bare fact of the matter is that your white skin alone grants you advantages which blacks will never have. That is the sick reality of this world. And your skin also gives you a series of soul-murdering assumptions, unconscious till you make them conscious, which are on display in your post. You cannot develop spiritually and skip the 100,000 years of human history since some blacks left Africa and became white. You cannot develop spiritually without dealing with the real world as it is. Spiritual growth has everything to do with how you conduct yourself here and now. How do you even imagine that you should 'repatriate' to a place whites pillaged for 500 years? You think they going to welcome you 'home'? Well actually, given the natural generosity of many Africans, some actually might. But certainly no one should move to Africa without understanding the historical issues and a willingness to really engage with the issue of race. And of all people, whites who call themselves Rasta should be willing and able to reason on race and listen to blacks without branding them 'racist'. The government of your country is racist. You don't think you have responsibility to deal with that? How is it you fail to notice that modern Rasta began as a movement of BLACK people for BLACK liberation? What you think 'Blackman Redemption' is? If you are drawn to it, and nobody is suggesting you can't be, what does this mean in terms of the way you will live your life? If it is that you think you have found a way to 'cure' your whiteness and the HISTORICAL RESPONSIBILITY you have because of it, whether you like it or not, it won't work, and it's absolutely dishonest. Blacks did not choose to be black and deal with that reality, and we did not choose to be white. But somehow whites because of their privilege think they can simply ignore the fact. I suggest you do some reading on these sites and get yourself some history. Date: Tuesday, 20 April 2004, at 12:16 p.m.
"You can choose to put on dreadlocks and not get a job because of it. You can chant Rastafari and believe that makes you a downpressed person with the right to 'repatriate' to Africa." "How do you even imagine that you should 'repatriate' to a place whites pillaged for 500 years? You think they going to welcome you 'home'? " First, I do not believe that Rastafari makes me a downpressed person, what's the purpose of that?. Second, I don't feel I have the right to Repatriate because I'm a rastaman, I said that I was talking about racism, the question of repatriation remains debatable as it is shown on the other posts. Personally I do not see it as repatriation, I see it as an exodus like other posting-brother called it. "And of all people, whites who call themselves Rasta should be willing and able to reason on race and listen to blacks without branding them 'racist'." I'm willing. I recognize that I shouldn't have used the word racist, my mistake. It is just that I feel I'm being hated just for the colour of my skin, I'm guilty for being white? If you don't know me, how can you judge me just for the colour of my skin, the "war" speech comes to my mind. You cannot love Jah and no love your bredrin. "The government of your country is racist. You don't think you have responsibility to deal with that?" I don't participate in politics, I believe that Rasta shouldn't deal with that, I believe only Nyahbinghi Theocracy, but that's my humble opinion. I do participate in anti-babylonian movements. "How is it you fail to notice that modern Rasta began as a movement of BLACK people for BLACK liberation? What you think 'Blackman Redemption' is?" I haven't failed to notice that, I'm aware of blackness in this context. Maybe I expressed myself wrong, forgive me please, remember that I'm a non-native english speaker. I love black people, my God is black, I even would like to be black, but I'm not. Please don't believe that I'm writing this with anger, I write about this with sadness, because I'm always trying to spread the word about Rasta, about Selassie I, about brotherhood, love & unity, chanting down babylon and what is the purpose of this if black rasta hate white rasta? it makes me so sad man, really sad. I know that Rasta is black redemption, I think we (white) Rasta have so much to learn from black rasta, but how can we get closer to learn from them if they hate us?. Besides, some travelling bredrins have trod to Jamaica several times to learn from the Elders, from Bobo and Nyahbinghi Elders, they received the blessing and some even were named Rases, so if Jamaican rasta elders have love for us and do not hate us, why others do?. "If you are drawn to it, and nobody is suggesting you can't be, what does this mean in terms of the way you will live your life? If it is that you think you have found a way to 'cure' your whiteness and the HISTORICAL RESPONSIBILITY you have because of it, whether you like it or not, it won't work, and it's absolutely dishonest." For me Rasta is not to cure my whiteness, for me Rasta is God, simple and wonderful. I think rasta do helped me to understand the evilness of white babylonian system, but something that life has taught me is that good people is good people, no matter the colour, no matter what. It is just I don't feel I'm inside that group responsible for 500 years of white pillaged as you said it. Something comes to my mind: Marley, black mother-white father, still respected for the works he did for rasta/black people as a blackman. We South-americans, white father-indigenous mother, are still the same "whites"? Do we still have the same HISTORICAL RESPONSIBILITY?. Please understand my point of view, feel the sadness in my words. Date: Tuesday, 20 April 2004, at 12:51 p.m.
"Please don't believe that I'm writing this with anger, I write about this with sadness, because I'm always trying to spread the word about Rasta, about Selassie I, about brotherhood, love & unity, chanting down babylon and what is the purpose of this if black rasta hate white rasta? it makes me so sad man, really sad. I know that Rasta is black redemption, I think we (white) Rasta have so much to learn from black rasta, but how can we get closer to learn from them if they hate us?. Besides, some travelling bredrins have trod to Jamaica several times to learn from the Elders, from Bobo and Nyahbinghi Elders, they received the blessing and some even were named Rases, so if Jamaican rasta elders have love for us and do not hate us, why others do?."
! !IT IS NOT ABOUT HATE AT ALL!! IT IS ABOUT SELF IMPROVEMENT TO CONQUER THE BABYLON SYSTEM OF WHITE SUPREMACY AND COLONIALISM! AFRICA FOR THE AFRICANS, EUROPE FOR THE EUROPEANS, ASIA FOR THE ASIANS. THIS MEANS SELF-DETEMINATION FOR ALL NATIONS . . . THIS IS ABOUT TRUE FREEDOM, EQUAL RIGHTS AND JUSTICE FOR ALL PEOPLE. WE ALL HAVE OUR DIFFERENT ROLES TO PLAY, AND BECAUSE WE LIVE IN A SOCIETY BUILT ON RACISM, OUR TASKS AS WHITES WITHIN RASTAFARI IS DIFFERENT. OUR FIRST TASK IS TO IDENTIFY WHERE WE STAND WITHIN THE STRUGGLE AND THIS BEGINS WITH SELF-SCRUTINY AND THE JOURNEY OF SELF-KNOWLEDGE. STAND IN THE FIYAH BUT DON'T GET BURNED! THE FIYAH IS FOR THE PURIFICATION! Date: Tuesday, 20 April 2004, at 1:59 p.m.
Africans can legitimately migrate anywhere on this planet and call it home provided they have their history and consciousness correct. All good core values found in any other culture can be traced back to indigenous Africans anyway. Similarly too, whites can go anywhere they choose, providing though they do not hop on the African 'Back to Africa movement' and call their migration Repatriation. Even so, as they move they should be aware that until the African issues are settled, they move with undeserved privileges from an African point of view, and should not expect INFORMED Africans to casually welcome them with open arms or accept their conscious and or unconscious arrogance.